Prosecution or Persecution? : AG’s Chambers must buck up! A critique on the quality of prosecution and certain lackadaisical DPPs, and the irreversible consequences this malfeasance imparts onto another person’s life and the criminal justice system. I recall the good old days where you can sit down with the DPP (Deputy Public Prosecutor) and discuss with him the case he is handling. As a lawyer, you can open up the evidence that you have with him and then write a letter of representation to him. A letter of representation is where you advance your client’s case and put forward proposals like – to withdraw the charge against your client on various cogent reasons, or to plead to a lesser offence, etc. Such a representation saves everybody time and tax payers money. Justice is also done. Those days, the DPP who handles the matter decides. Today, it appears the situation is different. Today it appears that some DPPs are merely prosecuting officers in Court. They do not seem to have the powers to decide how to conduct the case with which they are entrusted. Or maybe they fear writing a report or recommendation to the Public Prosecutor that the charge should be withdrawn. For example, in those days, if in the middle of a trial, the evidence clearly shows that the case is completely unsustainable, it not uncommon for the charge to be withdrawn. This is a power clearly given to the Public Prosecutor pursuant to section 254 of the CPC (see also section 354 CPC and Article 145(3) of the Federal Constitution. It is very simple. If the evidence for the prosecution is weak or cannot support the charge, then withdraw the case. These provisions are in the law books for the purpose of ensuring justice and not there for mere decoration. However, I have personally known some of my clients to experience injustice because the DPP does not seem to understand the purpose of these provisions. Today too, you have too many new, inexperienced and young DPPs who actually say: “My boss wants me to continue”! It really troubles me when I have an innocent client being charged in court for offences that he did not commit. It makes me wonder whether the DPPs concerned have actually verified the evidence given to them by the police before they recommend for the person to be charged. I wonder if the same lackadaisical attitude will prevail if their own family member is the one being charged. I have a particular case where my client went through 5 years of hell, broken home, and devastated business because he had to undergo a trial in which he was clearly innocent. Of course, he was finally acquitted and discharged – meaning he was found innocent by the Court. Though found innocent, can the courts or the police or the prosecution give my client back parts of his life that they took away? To them, it is just another file closed. In fact in this case, the Court found that the prosecution had indeed suppressed evidence that was favorable to the defence! This case should never have gone to court at all. This, to my mind is clearly persecution and not prosecution. I cannot understand the mentality of some of these new DPPs who think of prosecution as a job that must be done under the direction of their seniors. It is more than a job – it is a duty and responsibility to ensure justice. You are dealing with real lives. You only prosecute on behalf of the People to ensure justice. If it is the seniors that are directing, then the senior should come to court. Be transparent. Make it official so that there is a face to the instructions being given. At least the defence lawyer will know which senior to hold accountable for the decisions being made. I can understand that inexperienced DPPs need to learn. However, this learning should not be at the expense of the innocent public or the tax payer’s money. I even tell my own staff that whatever “learning” they want to do, do it on their own time and expense! To me it is important that the quality of the prosecution be raised. Prosecution often results in the deprivation of someone’s liberty and thus it must be done carefully and judiciously. It is also important that the prosecution maintains an open communication line with the relevant practicing lawyers. Prosecution is an important part of the justice system and hence Raperas must be sensitive to their level of standards. Author’s Note: This article is intended to highlight specific problems addressed in the article and not a scathing criticism of ALL DPPs. I personally know some exemplary ones. LB: This post first appeared in the author’s blog. Jabar tries to walk with God. He has been active in advancing social, national unity and human rights issues for years. He wears many hats and is ever willing to work with any group that promotes the general welfare of Malaysians without any partisan boundaries. Apart from having a busy practice with Messrs Jahaberdeen & Co, he has been active in the various Bar Council committees over the years such the Human Rights Committee, the Syariah Law Committee and the Corporate and Conveyancing Law Committee. He has been passionate in promoting the humanistic face of Islam, and blogs regularly at jahamy.blogspot.com and jahaberdeen.blogspot.com. He thought he could escape the LoyarBurok pull, but instead found himself sucked into larger movements like SABM and UndiMsia! Posted on 2 May 2010. You can follow any responses to this entry through the RSS 2.0. Read more articles posted by Jahaberdeen Mohamed Yunoos. 5 Responses to Prosecution or Persecution? : AG’s Chambers must buck up! kalau da innocent, u have many other ways untuk lepaskan die dari pertuduhan..u have prosecution case, defence case n then appeal..if x dapat jugak, it ketidakcekapan bg lawyer tersebut la. The article is a prevaling truth of what goes on in court. In Malaysia, we have a criminal (in)justice system and not a criminal justice system. I think it all started with the stupid and servile Mohtar Abdullah which allows political interference in prosecuting decisions and such practices is now being continued by his politically servile mentee, Gani Patail. Since 1988, the AG Chambers have been politicised. The Public Prosecutor who is also the AG has been taking political instructions to persecute political opponents and/or to protect connected political allies from prosecutions. Can't blame the DPPs much since their head is clearly rotten. Talk to any DPP and ask their opinion about Gani Patail and you will soon find the apt answer. As to cases where innocent persons are being charged when there is no just cause or lawful reason to do so, I think the CPC do contain a provision to deal with this kind of 'mala fide' prosecution or persecution by rogue DPPs. Charging a person without just cause or lawful ground is a section 211 Penal Code offence- making false charge. If at the end of the trial, the court finds that it is indeed a false charge, namely, a charge being instituted when there is no just ground for doing so, the court at the instance of the Defence Counsel should frame a charge u/d s.211 against the DPP or his senior who directed the prosecution and have the charge tried by a Magistrate. Read s.129(1)(b) carefully. The provision is there but has not been utilized by Defence counsel to counter false prosecution or persecution. Try it the next time when you feel that charge instituted against your innocent client is indeed a false charge and the DPP refuses to withdraw the charge after representations had been made to him. Dear LoyarBurok. Thanks for the article. Just seeking some clarification if I may. How about Industrial court case? 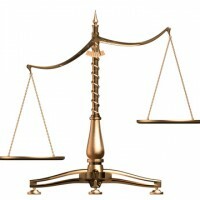 The contention of each and every case is the evidence deduce to justify if the case should go on. However in the Industrial court case, eventhough it is clear that one is unjust and without reasonable ground for termination, the case can still drag on and on. Your point of view is appreciated if possible.